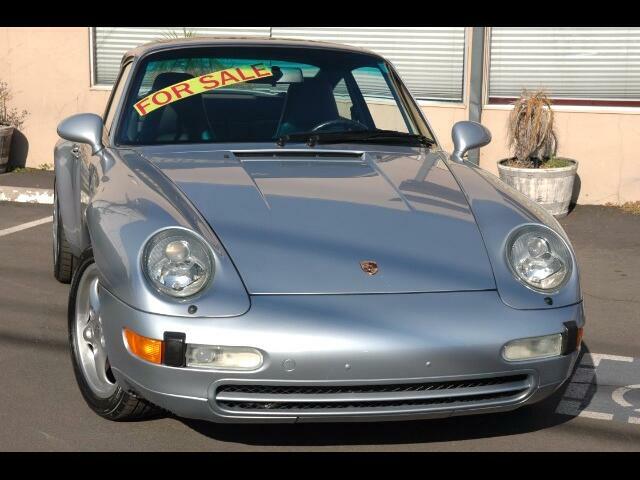 This 1995 Porsche 993 C2 with a Polar Silver exterior and a black leather interior has only 46115 miles on the odometer. It is a California car that has been extremely well cared for and maintained. The paint is in excellent condition and shows beautifully. The black leather interior looks as new with very minimal wear showing on the drivers side seat bolster, one would have to look closely to detect the wear. Everything on the 993 is stock including the original factory radio. Records are a bit thin, but they do go back to 1999. It comes with all of its books, tools. jack, air compressor and a second set of keys including remote fob. Message: Thought you might be interested in this 1995 Porsche 993.